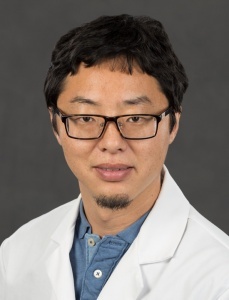 Tasuku Akiyama, Ph.D., assistant professor in the Department of Dermatology and Cutaneous Surgery at the University of Miami Miller School of Medicine, has received a five-year, $1.7 million National Institutes of Health grant to study the neuronal circuit of affective (anxiety-related) itch. Chronic itch accompanies many skin diseases, as well as systemic diseases, and significantly decreases patients’ quality of life. Dr. Akiyama’s research focuses on the mechanisms that drive chronic itch at the systemic, cellular and molecular levels. He also focuses on brain circuits underlying itch processing. The RO1 grant, from NIH’s National Institute of Arthritis and Musculoskeletal and Skin Diseases, will fund Dr. Akiyama’s continued exploration into the relationship between anxiety and itch. Dr. Akiyama’s central hypothesis is that itch and anxiety are enhanced by itch-signaling amygdala neurons, which are modulated by afferent projections from other brain regions. He will define this population, including its neurotransmitters, functional properties, and role in chronic itch. He will also identify the role of each amygdala projections in regulating this circuit.